Still not impressed? How about a levitating barbecue that can cook food and even power light bulbs? 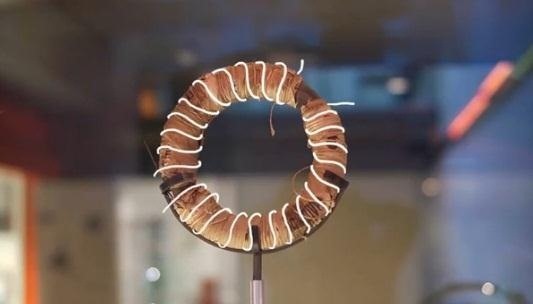 This experiment by the Palais de la Decouverte in Paris uses electromagnetic induction to levitate an aluminum plate over a huge coil charged with 800 amps of current that alternates 900 times per second. The coil is basically a much larger version of Faraday's induction ring. The currents create two opposing magnetic fields, which is why the plate is able to levitate. The current can also make light bulbs glow, and makes the plate hot enough that you could cook on it (hence, barbecue). 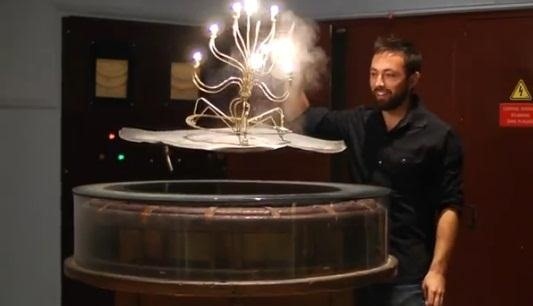 Check out the video by science video blog Veritasium to find out more about how electromagnetic induction works, and to see the levitating barbeque in action.